It's gonna be full with a lot of trasshhhh!!! 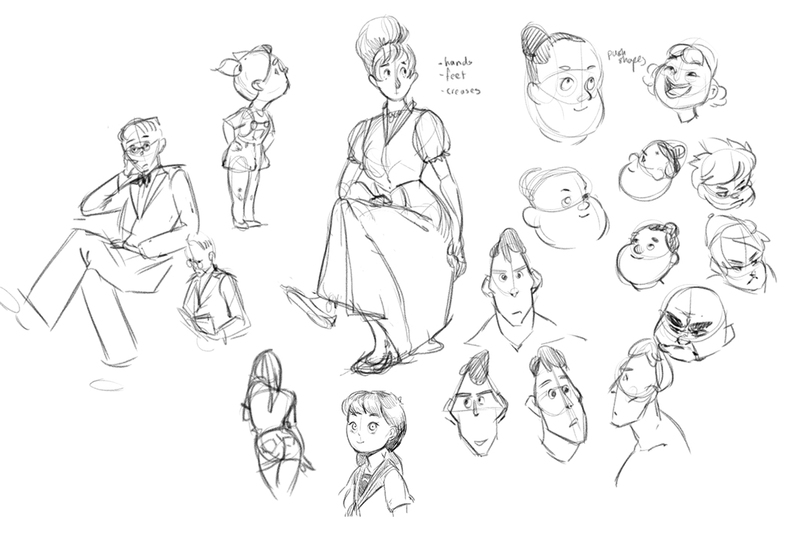 right now im having trouble with heads, so just some quick studies as well as general gesture drawing things (croquis cafe) ive been doing today and yesterday. I've started using mischief for these sketches and so far i love it! Last edited by everfae on Tue Jul 28, 2015 7:22 pm, edited 1 time in total. I'm glad you think they are fluid! I've really been trying to get them more fluid because for me i'm not satisfied yet! Awesome artwork! 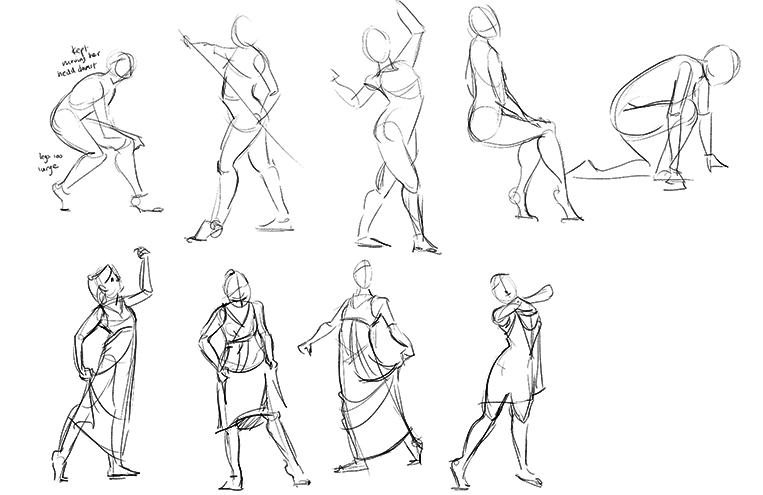 It always impresses me to see how fast people can draw good forms when they've developed a lot of skill. Also, I must say that I love your profile picture! Kyoobies wrote: Awesome artwork! 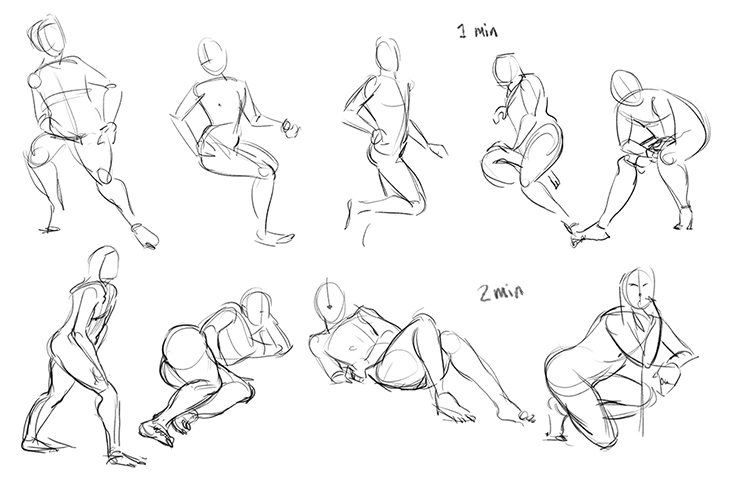 It always impresses me to see how fast people can draw good forms when they've developed a lot of skill. Also, I must say that I love your profile picture! 'A lot of skill' is subjective, but thanks a lot! :O Your stuff looks really good! 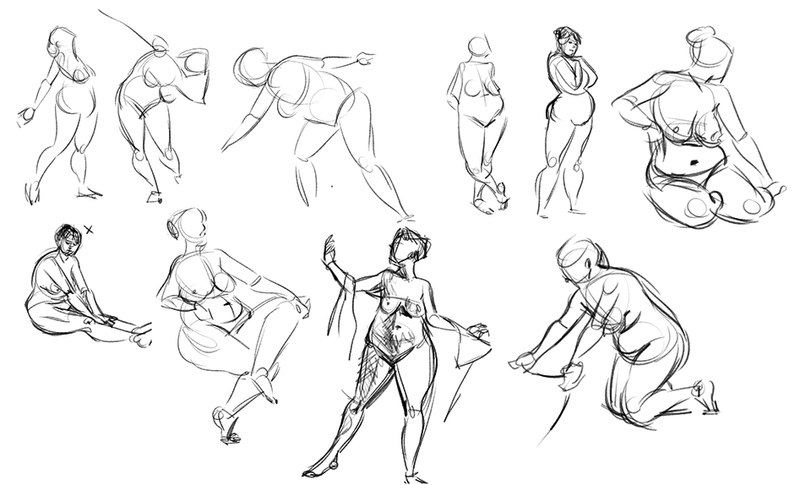 It's good you're practicing with varying body types, and I agree they look very fluid. Keep it up! GlassLotus wrote: :O Your stuff looks really good! It's good you're practicing with varying body types, and I agree they look very fluid. Keep it up! Oh my... 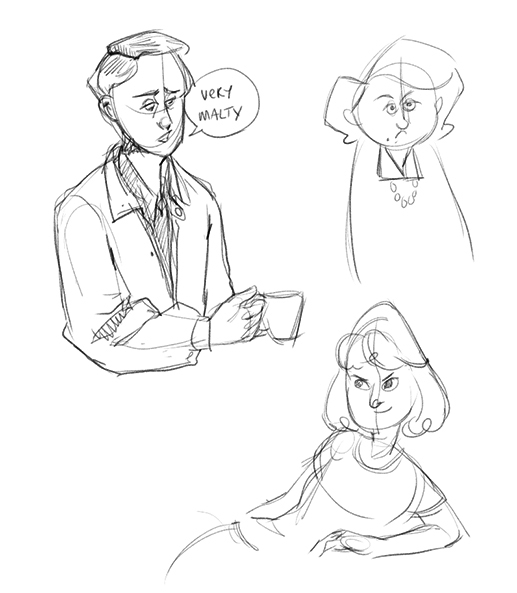 I donÂ´t know how I missed your sketchbook! Please, tell me you'll upload more, I love your style, and I can see you're a fan of the shapes too. Fergato wrote: Oh my... I donÂ´t know how I missed your sketchbook! Ah thank you!!!!!!! 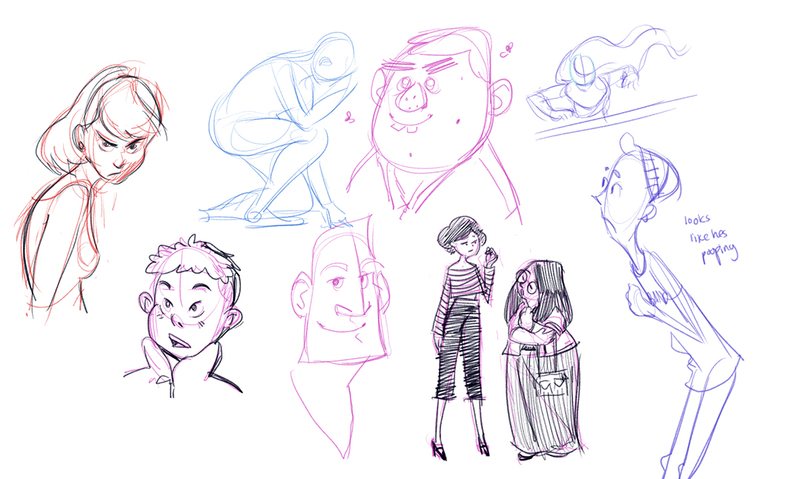 Yes i'm going to upload as often as possible, but I think I will be doing more sketches than anything complete! I need ~*~mileage~*~!! Are you sure you have trouble with heads?! I think you are off to a great start! What part of the head are you most struggling with? I love your cartoony style! Your shapes are good and your work has appeal! The cuteness! been way absent for a while, sorry! 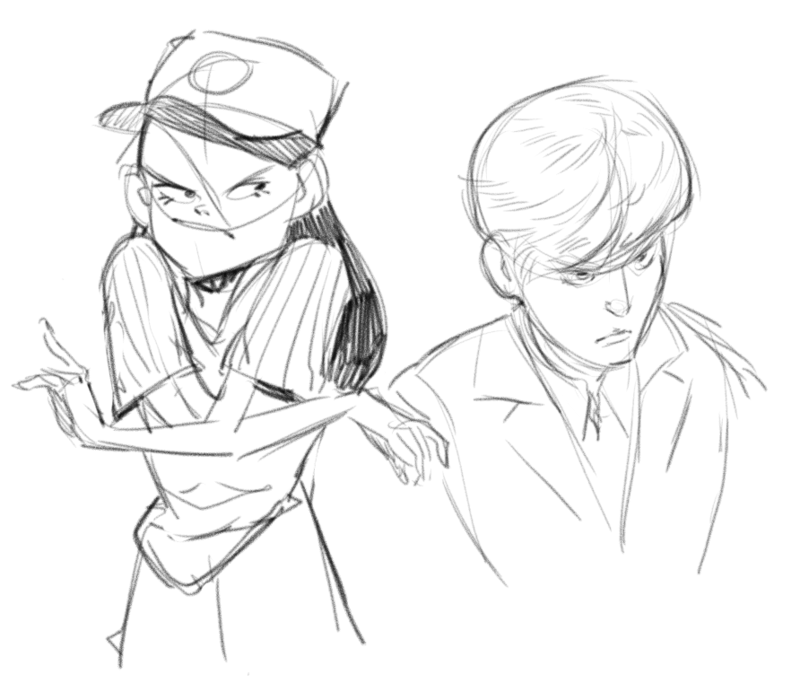 had a little trouble with the gesture drawing here. surprise, clothes! dunno. just whatever came to my head? sketchstone wrote: Are you sure you have trouble with heads?! I think you are off to a great start! What part of the head are you most struggling with? 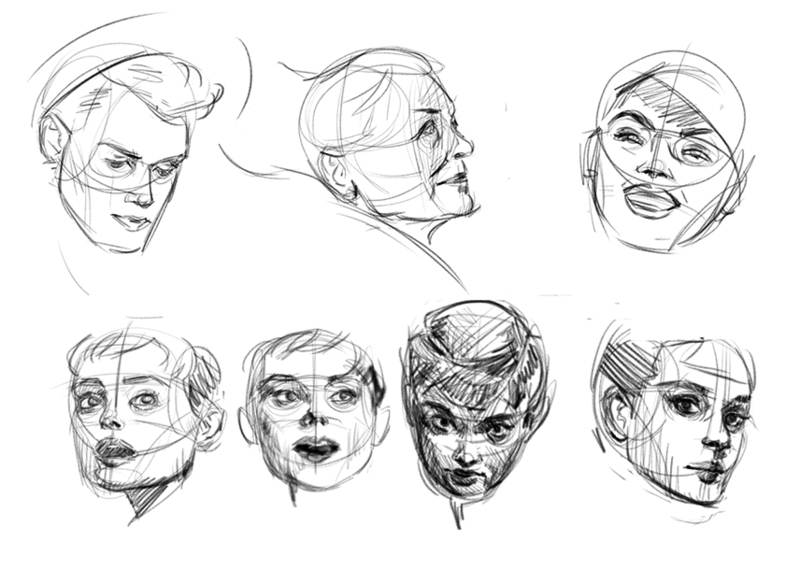 All of it really, proportions, feature placement, creating a likeness, the form, etc. And despite what you say, I love how you draw faces : O You must teach me some stuff, especially if you intend on improving your face drawings! Jesturr wrote: Welcome to the forums! my most problem areas are heads, necks and hands. Everything else is a problem for me too, but these things frustrate me most. Wow y\our work is stunning i really love your style keep them coming! Kuronuma wrote: Wow y\our work is stunning i really love your style keep them coming! Well when it comes to individual parts of the human body, its gonna be like a mileage driven drawing kind of approach. But you can try different methods for building heads such as the Reiley Method, Bridgeman approach and so on. From what I saw you're using Loomis, but if something is still not clicking its great to explore other available methods and mash it together with the current system you use. "I do not sugarcoat, rather I write my honest opinion"